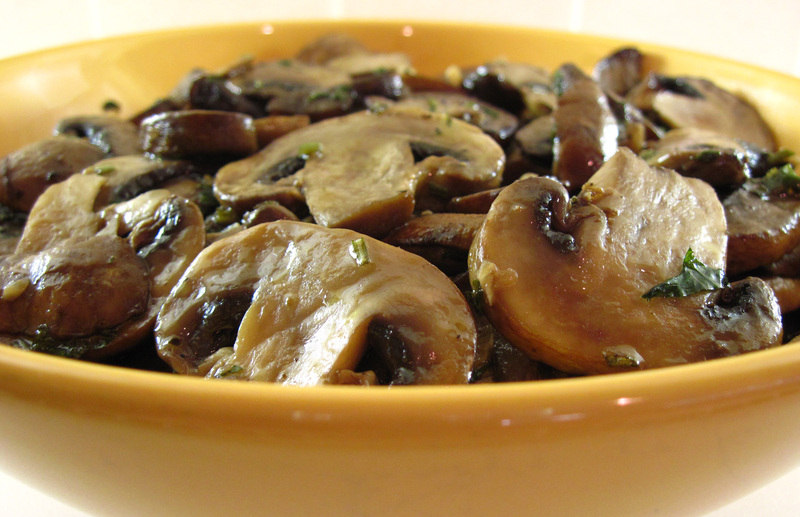 This Roasted Mushrooms recipe is a perfect side dish for steak or burgers. And…it can be made ahead of time and served at room temperature – perfect for entertaining! I adapted the recipe from one on Deborah Mele’s beautiful blog, Italian Food Forever. 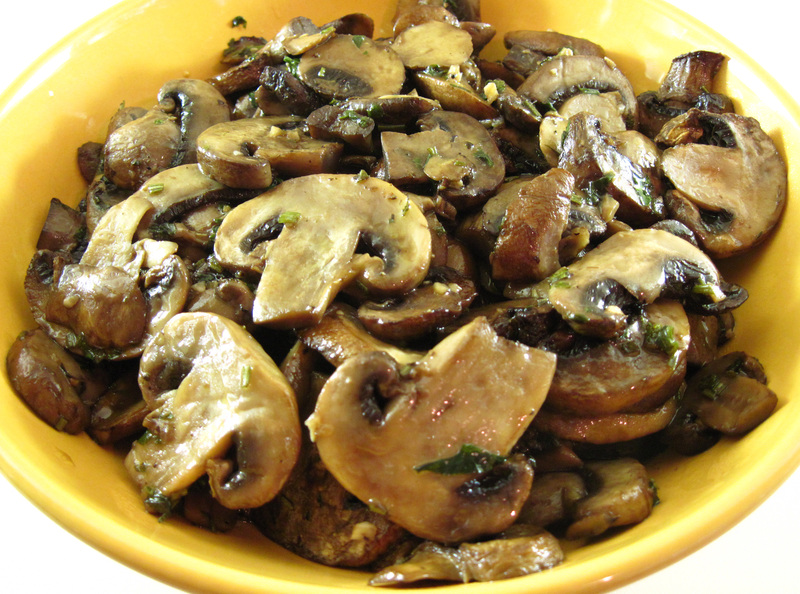 Deborah calls it “Roasted Mushroom Medley” since she uses 2 pounds of mixed fresh mushrooms. She suggests trying portobello, shiitake, and oyster mushrooms, but adds that using just one type works as well. I used half white and half cremini mushrooms. The first time I made Roasted Mushrooms I did not use garlic. I served them with grilled flank steak and they were very good, but I couldn’t help but think that I would love them with garlic added. The second time I made them I followed Deborah’s recipe and used 2 cloves of garlic. The garlic flavor was very subtle. The mushrooms were well-received as a room-temperature side dish at the burger party we attended. Still, Bob and I decided we would prefer more garlic. A quick search on the Internet revealed a similar recipe by Bobby Flay. His Oven Roasted Wild Mushrooms with Garlic and Thyme uses 4 cloves of garlic with 1 pound of mushrooms. Bingo! That sounds like it would be just the right amount of garlic for me. I will definitely be using more garlic the next time I make them which, undoubtedly, will be soon. Do try these Roasted Mushrooms but make them just the way you like them. They were quite good even without the garlic. 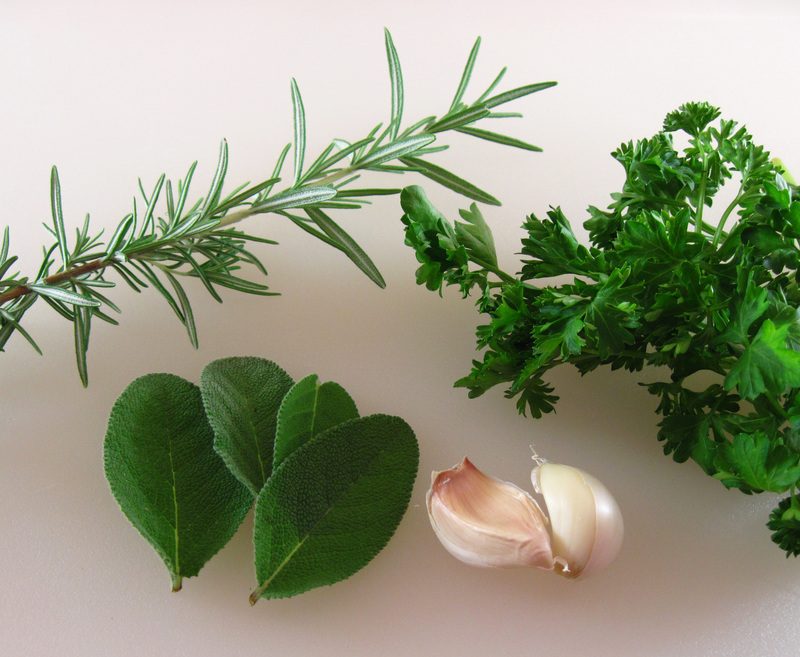 If you’re a garlic lover, try 6 – 8 cloves. Use less for a more subtle hint of garlic. They would be great served hot right out of the oven, but they make a fabulous room temperature side dish, too. 2. 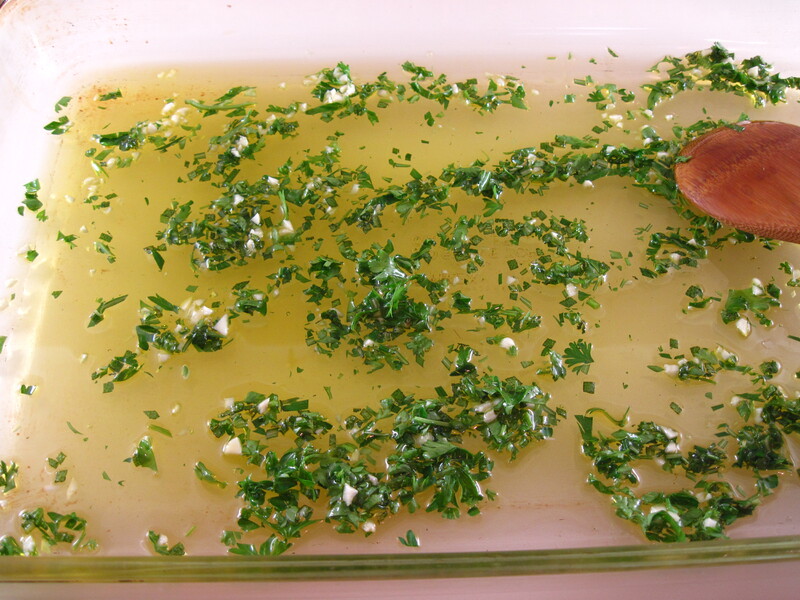 Pour the olive oil into a large baking dish. Stir in the garlic, rosemary, sage, and parsley. 3. Put the mushrooms in the baking dish and stir to coat them with the oil as well as possible. 4. Sprinkle the mushrooms with a bit of salt and some freshly ground black pepper. Stir one more time and put in the oven. 5. Bake for 40 minutes, stirring once after about 25 minutes. 6. Remove from the oven and stir the balsamic vinegar into the mushrooms. Taste for seasoning and add a bit more salt and pepper, if needed. 7. Serve at once, or cool and serve them at room temperature.